1943 and 1944 are significant years in law enforcement history not because of what did happened, but what didn't happen. They are the only two years over the past century in which line of duty deaths didn't reach 100. Although this milestone can almost certainly be attributed to the fact that most of America's men were busy fighting in WWII, getting line of duty deaths back below 100 is a goal every law enforcement officer can stand behind today. 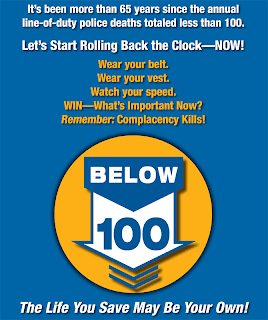 Earlier this year the Below 100 was created by some of the leading law enforcement trainers in the nation. This training is absolutely free, and has been taught in major cities throughout the United States and Canada. 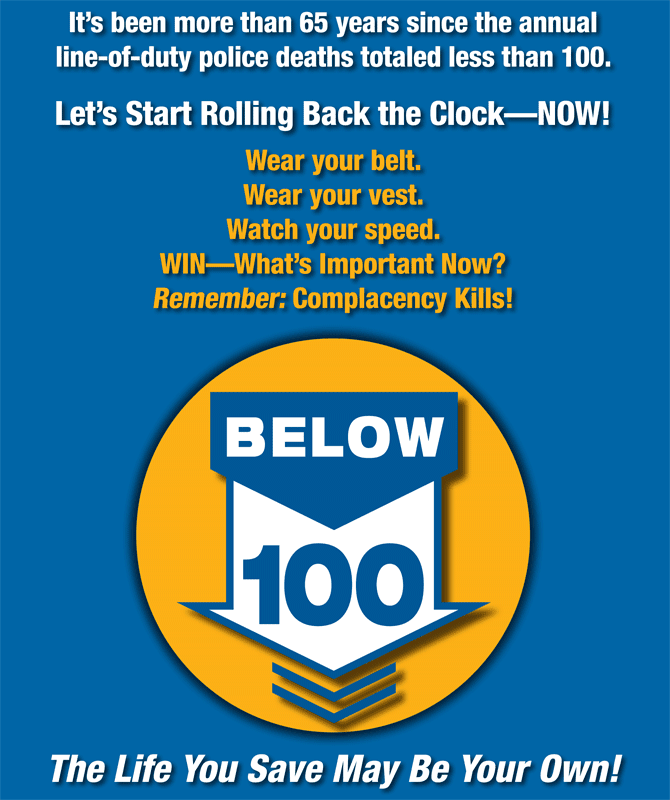 ODMP has partnered with Below 100 to spread the word about this free training, as we are committed to completely eliminating preventable line of duty deaths. Below 100 is finishing off the year with four back-to-back Train the Trainer workshops in three different states: Arkansas, Oklahoma, and Texas. Any law enforcement officer or training can sign up for these free officer safety training sessions, which include videos and sample policies that you can take back to your departments. More information about these classes can be found on the Below 100 Events website. Seats are filling fast. Register today!